Juror Mary Welch has selected several of my handwoven and hand-dyed garments and accessories for inclusion in the upcoming Interwoven V exhibit. 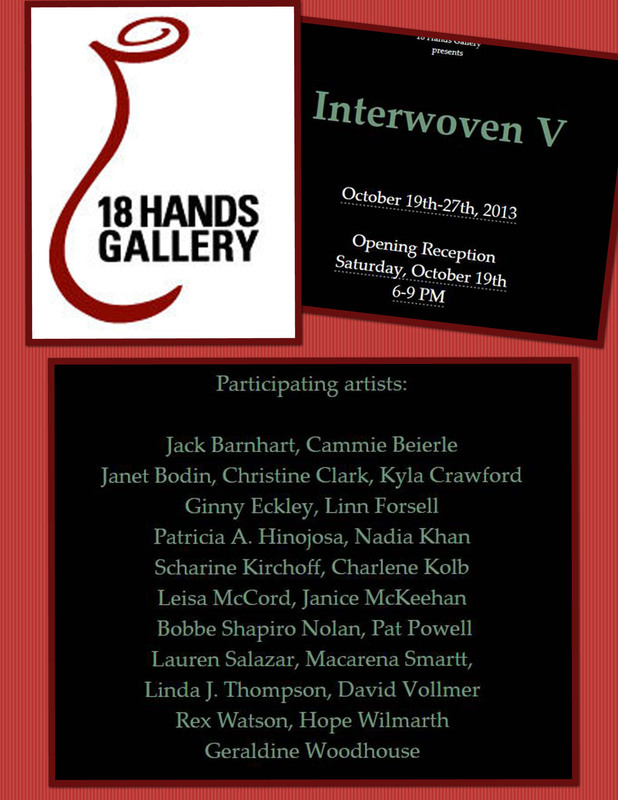 The exhibit will take place Oct. 19-27 at the 18 Hands Gallery, Houston, TX USA. Please join us at the reception on Sat., Oct. 19, 6-9 pm. Come and meet a fabulous group of fiber artists!